Tuesday, Aug 20, 7:45 – 9:15 PM (90 minutes). Cost is just $20/player for the extended session. Insane!!! Thursday, Aug 22, 7:15 – 8:45 PM (90 minutes). In addition, our regular weekly slot will be 9:30 PM on Thursdays, starting on Thursday, August 29, 2013. We had trouble filling the Thursday night slot last year, but this is 15 minutes earlier than last year, so we hope you’ll be able to play. The good news is that we have a full hour of ice time, instead of being shoehorned into a 45-minute slot like last season. The hourly ice rental fee has risen 10 percent, so the cost is likely going to be $15 for our regular Thursday night game. In other news, Bob DeCusati has moved to Richmond, so he won’t be helping to collect money at the Sperry games any longer. Bob, thanks for all your help the last few years! Finally, there are some changes in store on the Sperry web site (www.sperryhockey.org). We hope to gradually transition to a more automated signup system and allow people to pay in advance by PayPal or credit card. Contact Joe Nasevich (jnasevich@gmail.com) if you have any suggestions or comments. Enjoy the rest of the summer, and we’ll see you on the ice in August! This entry was posted in Announcement, News and tagged 2013, August, Main Street Arena, News on July 14, 2013 by Sperry Hockey. Here is the Sperry Hockey roster for Saturday, July 13, 2013, 11:10AM-12:30PM at Richmond’s SkateNation Plus (Short Pump) rink. Spots are still open, so let us know if you want to play as soon as possible. We’ve got 19 players and two goalies, but having a few more skaters will definitely work for the amount of time that we have. It can also bring the cost down. 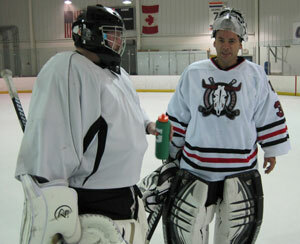 Please email us at sperryhockey@gmail.com or call David Delamere’s cell at 434-760-2870 if you want to play. Even if your schedule opens up early Saturday morning, you can still call David Delamere at 434-760-2870. Note that this is a an 80-minute extended session. Our start time is 11:10 AM. We play for 80 minutes (11:10 – 12:13 PM). Please be on the bench and ready to go by 11:05. Your slot may be forfeit if you arrive at the rink after 11:00. We’re playing at Richmond’s SkateNation Plus (Short Pump) rink. We prefer to play at Charlottesville Main Street Arena, of course, but the rink is closed for the summer. The cost is $20/player for the extended session. Goalies play for free. The David Delamere will be collecting your contributions once again. You can make his job easier by arriving as early as possible and finding him as soon as you enter the rink. Please pay either in cash or with a personal check. Do not pay with a credit card. David Delamere is handling cancellations. If you have to cancel, you can e-mail us using the sperryhockey@gmail.com address until noon on Friday. From noon to game time, you should call David’s cell at 434-760-2870. Better yet, just show up and play and don’t call David at all! Teams will be selected that morning, so please bring both a white and dark jersey (and extras if you have them). Game style will more than likely be shift-on-the-fly for easy adjustments and little clock involvement. Figure a figure 3-5 min warm-up, two periods, and switch goalies at halfway mark. It’s gonna be fun! Joe Nasevich can take one, maybe two additional players. He’s coming from Forest Lakes, just north of Charlottesville. Or, he’s willing to ride with someone else. Call Joe if you want to save gas and share a ride: 856-630-1532. This entry was posted in News, Roster and tagged 2013, July, Roster, SkateNation on July 12, 2013 by Sperry Hockey. The following newsletter was originally sent by email on Monday, July 8, 2013. It’s been copied here in its entirety. I hope everybody has had a good summer and is looking forward to the coming ice season which is scheduled to begin on August 19th, 2013 or perhaps a day later depending on how long it takes to touch up the ice. This will be my fourth season with MSA which is hard to believe, it feels like yesterday that this journey began. When you come back, you’ll be glad to see we have made a few upgrades to the arena. The main upgrade is we have purchased LED lighting for the rink area. The old lights were 400W halide lights that burned extremely hot. At the level of the lights the temperature of the air was always over 70 degrees. The LED lights that we have installed are 150W and can be touched with your bare hand while on. Not only will we save the direct electricity costs associated with lighting, we will not have a section of extremely hot air heating up the building which saves further electricity costs and should result in a higher quality ice surface. Additionally the LED lights are instant on and instant off which will be great if we experience a power outage or wanted to turn off the lights temporarily for some reason. I also wanted to announce that we have hired new hockey directors Gary Jones for the Adult League and Jeremy Thomson for the Youth league. Gary has played and been around hockey for his entire life and is very excited at this opportunity to put his touch on the adult league. If anyone has any ideas they’d like to discuss, Gary can be reached at g.jones@mainstarena.com. Jeremy is well known to everyone as a Zamboni driver, skate sharpener, hockey coach and hockey player. He has been around the rink for a long time as well and is going to be working to further develop youth hockey players in central Virginia. This is a huge job and hopefully Jeremy and our hockey community can work together to recruit new skaters and guide them from learning to skate into serious committed players at the rink for years to come. If anyone would like to reach Jeremy he can be contacted at j.thompson@mainstarena.com. If anyone has any further questions or would like to get in touch you can reach myself at mark.brown@mainstarena.com or Will at will@mainstarena.com. This entry was posted in News and tagged Gary Jones, Jen Blanchard, Jeremy Thomson, Main Street Arena on July 8, 2013 by Sperry Hockey. Signups are now open for a special 11AM Saturday morning session of Sperry hockey, July 13, 2013, at SkateNation Plus in Short Pump. If you took an email holiday during the long Independence Day holiday, you might have missed the signup message, so check your inbox! The roster is already starting to fill up, so please signup early to guarantee your slot. This will probably be the last travel game before Charlottesville’s Main Street Arena rink re-opens in August. The game is scheduled for late Saturday morning, July 13, 2013. We start at 11 AM (11:10 to be exact) and play for 80 minutes (until 12:30 PM). Game format and cost are still to be determined, but figure $20-25/person for the extended session. Goalies play for free, as usual. Gazing into David’s crystal ball, I see hazy images of people changing on the fly without an autohorn to signal line changes, plus a short break halway through the session. It might be prudent to bring both a white and dark jersey, because the teams are not clear at the moment as well. Afterward, I predict brunch at Mimi’s Cafe to put back all the calories. To signup, reply by email to sperryhockey@gmail.com. If you want to volunteer for carpooling, please say so, state number of riders, and provide contact info. Roster should be published no later than 48 hours before the game. Roster and No Show policy can be found on the Sperry Marine Hockey Club web site. Skate Nation Plus is located at 4350 Pouncey Tract Road, Glen Allen, VA 23060. You can find directions by visiting the Skate Nation web site. In addition to their state of the art 5,000 square foot laser tag arena, SkateNation Plus houses a regulation NHL rink and has programs for skaters of all levels. They are open year-round, and they are located in Downtown Short Pump (Henrico County, west of Richmond, Virginia). For skating fun on Richmond’s south side be sure to visit their sister rink, Richmond Ice Zone! This will probably be the last travel game before Charlottesville’s Main Street Arena rink re-opens in August. We hope that you’re having a great summer, and we’ll see you soon! Only a month and a half more before the ice at the Main Street Arena re-opens! This entry was posted in Announcement, News and tagged 2013, July, SkateNation on July 8, 2013 by Sperry Hockey.